Linden plant, Tilia cordata, is sometimes known as Lime Tree and Large Leaf Linden. A popular herbal tea in continental Europe. The tea, made from the flowers, is a refreshing beverage that is also used as a remedy for insomnia, depression, angina and high blood pressure. Trees yield honey of an excellent quality. Linden plant is a native to Europe and prefers cool, deep soils in an open, sunny position. Frost Resistant but drought tender. 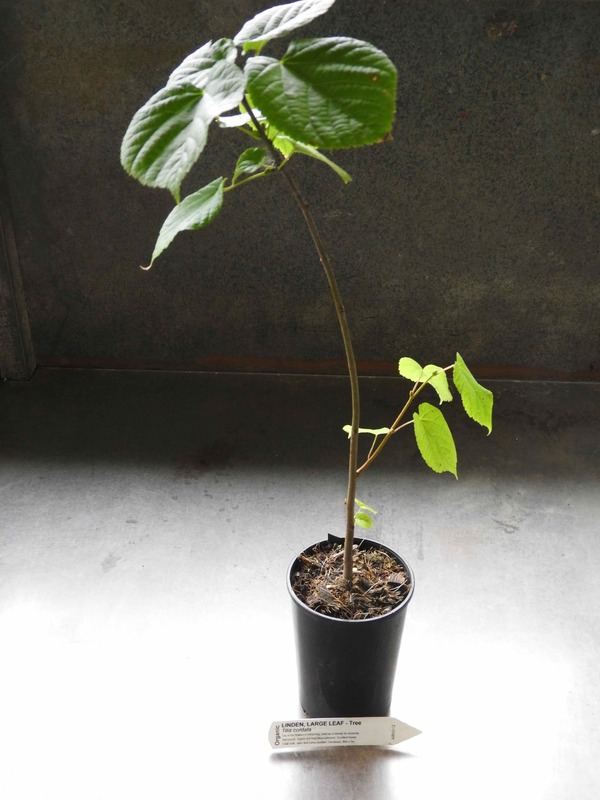 Deciduous tree, growing to 45m x 5m. Clusters of pale yellow flowers in summer. Linden plant is available as dormant and bare rooted. Be the first to review “Linden, Large Leaf plant” Click here to cancel reply.